Research has proven that memories can easily be distorted to make people believe false information. Have you ever had an argument because you disagree about the way something happened? You were both there, you saw the same thing, but you remember it differently. This happens quite a lot, because human memories are imperfect. As much as we all like to think we can trust our own minds, memories can be altered over time. Elizabeth F. Loftus is a researcher and professor of cognitive psychology and human memory. She is well known in the field for her work on the creation and nature of false memories, and how people can be influenced by information after an event has happened, event consulting or providing expert witness testimony for hundreds of court cases. Her research has shown how memories can be distorted. For example, in one study, subjects were shown videos of simulated crimes or accidents, then were afterwards made to believe the car in the accident went through a stop sign instead of a yield sign, or the thief running from the scene of the crime had curly hair instead of straight hair. "It's pretty easy to distort memories for the details of what they actually saw by supplying them with suggestive information," Loftus told Business Insider. "But then later we began to ask just how far could you go with people. Could you implant entire false memories into the minds of people for things that never happened?" The answer was yes. Loftus and other researchers such as Julia Shaw have successfully planted memories into the minds of otherwise healthy people. For example, in one study, 70% of subjects were made to believe they had committed a crime such as theft, assault, or assault with a weapon, simply by using memory-retrieval techniques in interviews. Salvador Dali famously said: "The difference between false memories and true ones is the same as for jewels: it is always the false ones that look the most real, the most brilliant." This could help explain why we are so quick to believe false accounts of something that happened. The idea of memory distortion dates back over a hundred years to the work of psychologist Hugo Münsterberg, who in 1906 was the chair of the psychology laboratory at Harvard University and president of the American Psychological Association. Münsterberg wrote in the Times Magazine about a case where a woman had been found dead in Chicago. A farmer's son was stopped and accused of the murder, and after being questioned by the police he confessed to killing the woman — despite having an alibi. "He was quite willing to repeat his confession again and again," Münsterberg wrote. "Each time it became richer in detail." He wrote that on every telling of the young man's story, it became more absurd and contradictory — a bit like his imagination was running away with the story, but he couldn't tell he was making it all up. Münsterberg concluded it was clear that the man was falling victim to "involuntary elaboration of a suggestion" from the policemen interrogating him. ...but it took several decades for it to be studied in detail. Unfortunatley, Münsterberg's ideas were too radical for the time, and the boy was hanged a week later. It would be decades until the idea of false memories and memory distortion would be studied properly, and considered to be able to influence confessions. Nowadays, it is quite well understood that false confessions happen under intense interrogation for crimes, like murder. This is what a lot of people think happen in the Netflix series "Making a Murderer," for instance. Whether a false confession involves someone really believing they committed a crime, or whether they just want the interrogation to end is determined on a case-by-case basis. But Loftus said that unless you have reason to suspect somebody's memory is distorted, then there's no way you would be able to tell they are recounting a false memory just by listening to them. However, more hope may lie in our biology. Neuroscientists have looked at brain scans of people having real memories and false memories to see if there's a difference. In one study from Daegu University in South Korea, 11 people were asked to read lists of words that fall into categories, like "farm animals." Then they were asked whether specific words appeared on the original lists, while functional magnetic resonance imaging (fMRI) detected changes in blood flow to different areas of the brain. When study participants had confidence in their answers and were correct, blood flow increased to the hippocampus — the region of the brain that is important for memory. If they were confident in their answer but were wrong, which happened about 20% of the time, the frontoparietal region lit up — the area associated with "a sense of familiarity." One theory for why our brains come up with false memories is called "fuzzy trace theory." The term was coined by researchers Charles Brainerd and Valerie F. Reyna, and was the first theory offered to explain the Deese–Roediger–McDermott (DRM) paradigm. The DRM paradigm is less complicated than it sounds. It involves giving people a list of related words, like bed, sleep, tired, dream, and yawn, and then asking them to recall as many words as possible. Typically, subjects recall words that are related to the words listed, like snooze, or nap, which weren't actually on the list in the first place. "People will produce words reliably that weren't on the list, and they'll be really confident about that, so that's definitely false memory," Reyna told Business Insider. "It's a really powerful, psychological phenomenon. A reality mismatch. It's not 'I can't remember,' which is forgetting, but 'I remember vividly something that didn't happen.' So fuzzy trace theory was the first theory applied to explain that." At first, researchers assumed it was something to do with associations between words. But when this was accounted for in experiments, the same results were shown. Instead, fuzzy trace theory puts forward the idea that there are two types of memory: verbatim and gist. Verbatim memory is when we can vividly remember something in detail, whereas gist memories are fuzzy representations of a past event — hence why the theory is called "fuzzy trace." "As we age, we rely more on gist and less on verbatim," Reyna said. "Almost everything important happens in life after a delay. For example, if you're a student you have to apply your knowledge not just on the quiz, but you have to remember it for the next semester, or in a job situation... 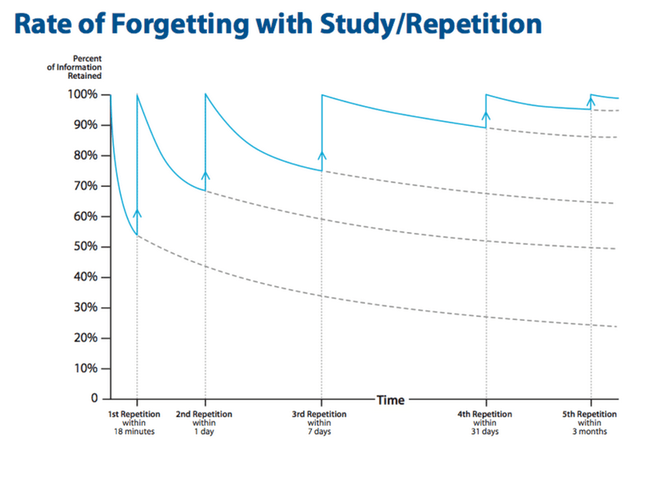 It's not what you've just memorised that day or that week, it's remembering over a longer period. And gist has a much more powerful influence after a delay, as opposed to verbatim." Fuzzy trace theory correctly predicts this dramatic effect of age on our memories, called a "developmental reversal effect." It basically means that as you go from childhood to adulthood, you get an improvement in verbatim memory — you can recall events in detail a lot better — but at the same time you also get an increase in gist memory. This means you become more likely to say that a related word appeared on a list that actually wasn't there, but you'll also be more likely to remember the whole list. "What that means is the net accuracy of children is higher than the net accuracy of adults, if you consider all of what they got right and what they got wrong," explained Reyna. "So your tendency to connect the dots of meaning and then to report that rather than just the verbatim reality, that tendency to rely on the gist, that goes up with age. [A person becomes] much more of a meaning maker." So it's not that your memory necessarily gets worse as you age, but our brains get more biased towards finding meaning at a faster rate. Since the theory was presented, it has been replicated over 50 times by other researchers. Many were skeptical of the theory at first, as adults tend to do better than children at almost everything. But that's perhaps because we rely on our minds a lot, and any suggestion they are not to be trusted, or they get less accurate as we age, is a frightening prospect. In reality, even though all of us will have manufactured false memories at some point, according to Reyna, we get along just fine. From an evolutionary perspective, it might even be beneficial for us to get better at relying on gist memory. For example, Reyna's research found that gist memory helps people make healthier decisions in terms of risk taking. If we went through life only looking at things objectively in a black-and-white sense, we might see things mathematically, and go for the highest expected value every time. The Allais paradox — a choice problem designed by Maurice Allais in 1953— helps explain this. In the problem, people are given the choice of taking Gamble A, which was a 100% chance of $1 million, or Gamble B, which offers a 89% of $1 million, a 10% chance of $5 million, and a 1% chance of nothing. From an economic perspective, if you do all the maths, the highest expected value is actually Gamble B. But that doesn't mean most people go for it. In fact, most people choose Gamble A and walk away with $1 million for sure — because why wouldn't you? "Most people say wait a minute, a whole lot of money is better than the possibility of getting nothing — which is gist," said Reyna. "The gist and the tendency to pick things in that way goes up in age to adulthood. It's not about maximising the money, it's about looking at these categorical possibilities. "That bottom line realisation is what drives your preference there. Just like the gist drives your memory for the words in the word test." Reyna said that false memories can make people concerned about the way they see the world, but they shouldn't think of it this way. Rather than thinking of imperfect memory being a negative impact of ageing, it's more likely to be something that actually helps us make safer, more informed choices. "People can rely on gist very well in the world," she said. "The average college student has a very affluent memory on average, but they have all sorts of inaccuracies too, they just don't realise it. So it's not that memory is this stable accurate record all the time. We just have that illusion because our minds fill in the gaps." Gist memory is another way our brains have shown how good they are at adapting to our surroundings. That's not to say the idea of losing your memory as a result of dementia is any less scary, but until that point, it isn't something you should necessarily worry about. "Folks as they age will have good days and bad days, they'll have days where they don't remember the literal details, but they can compensate a lot by relying on their memory for gist," Reyna said. "So I think as we get older we shouldn't be quite as concerned that our memories are somehow broken. They were never really fully intact to begin with."